It’s actually quite a common mistake to mix up what the purpose of a dehumidifier is with an allergy air purifier. The two are very different but there are some grey areas that we’ll be explaining and walking you through. A lot of individuals mistake the two because of their design, their marketing, and unclear communication between company brands and the consumer. This guide will help you determine what kind of unit you need in your life and all your questions will be answered. Use: Keeps air circulating to help eliminate excess dust and other particles in the air. Who: Anyone can benefit from this product being used. An air purifier helps move the air in your home through a cycle, inside the unit there is generally a filter that when air is pushed through it, at the same exact time it is collecting all the dust, odor, hair, pollen and more. This is especially important for those who have allergies to dust and pollen, hence why they are generally referred to as an allergy air purifier. This type of unit is extremely helpful when dealing with an individual who has many issues with allergies and colds. 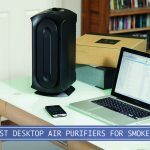 Most individuals who have invested in an air purifier have noticed their allergies have been brought down to a minimum, some even being able to stop allergy medication. A dehumidifier is a bit different, while the process might be similar, a dehumidifier cycles the air in your home, which then reduces the humidity levels in the air. By diminishing excess moisture, which is very important if you live in a more tropical area, the unit is killing mold spores and bacteria that flourish in the moisture. The primary function is to find balance in the room’s moisture level, making sure that the humidity level is at least 50% below the average in your household. A dehumidifier is perfect for those who have a hard time breathing the air because it just feels heavy, or those who don’t want to clean as often. They can also help lower the cost of your energy since these units will help your air conditioner run smoother and more efficiently. The price range for both allergy air purifiers and dehumidifiers range quite a bit. Generally they start off at around fifty dollars for a small unit that could work great for a kitchen, bedroom, or bathroom. But the larger units can get more and more pricey depending on what works best for you and the room that you want to use it in. With this said, there is quite a difference between brands and prices, but it’s most important to choose an option that works best for you and your household. Everyone’s home is different so it’s quite difficult to tell you which unit to buy off the bat. Instead take into consideration what you deal with most in your home, particles or humidity, then keep in mind the size of the room that you feel will have the biggest impact on the rest of the house. Reduce humidity levels making your home a safer place for you and your family. They are generally not loud or even noticeable. Reduce the risk of mold in your home, clothes, and bathroom. You will notice less irritated skin. A large amount of options to choose from, so it’s hard to tell which unit would be best for your home. They constantly need maintenance and cleaning, more so than any other air device. They tend to be very expensive for just one, which will not cover the whole house. It makes your energy costs go up because of running the electricity. They clear the air in a large space and cut down on the dust and other air particles more than half according to Urbalicious. They can get rid of bad food odors and pet odors. They can diminish the effects of secondhand smoke and the smell of smoke. They can help preserve delicate items in your home, the couches, rugs, and electronics. They can require constant maintenance to make sure you’re getting the best circulation. They can create ozone and ions which are bad for our health. They can be hit or miss, either focusing too much on dust or too much on odor, there needs to be a balance. 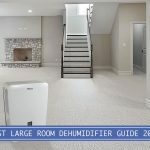 As you’ve made your way through this guide to all things dehumidifier and allergy air purifiers, you’ll know by now that they both are beneficial regardless of current health, and they both can offer something unique to your household experience. Just remember that it’s up to you when it comes to deciding what would be the best option for your home and your investment on health. If you have a large room, it’s worth it to invest in a decently sized unit that will be sure to cover the square feet that makes up the space, but if you’re looking for something small, stick to placing it in a bedroom or bathroom for the best response possible. Take your time to evaluate how the pros and cons will affect your current lifestyle and choose a unit that will mesh seamlessly into your life. 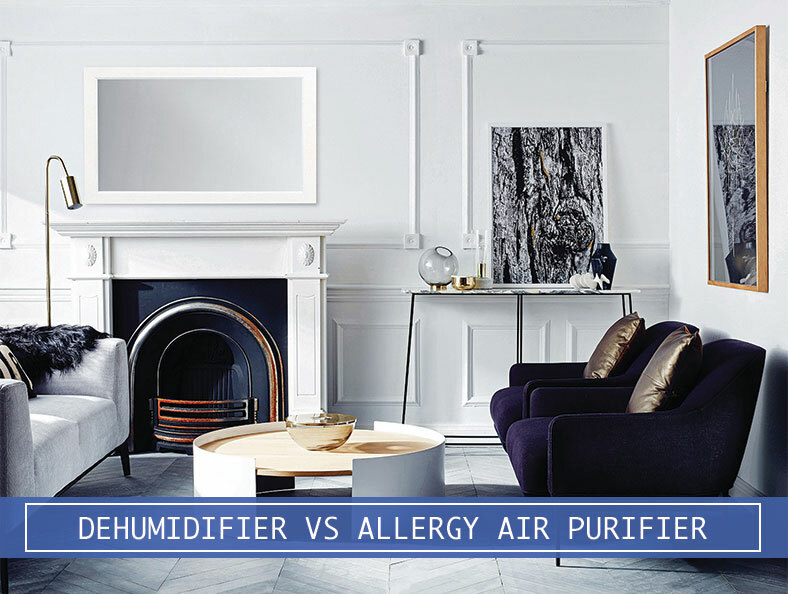 Hopefully now you’ve been able to get a grip on what the real differences are between a dehumidifier and an allergy air purifier. Now you have everything you need to make the right choice.